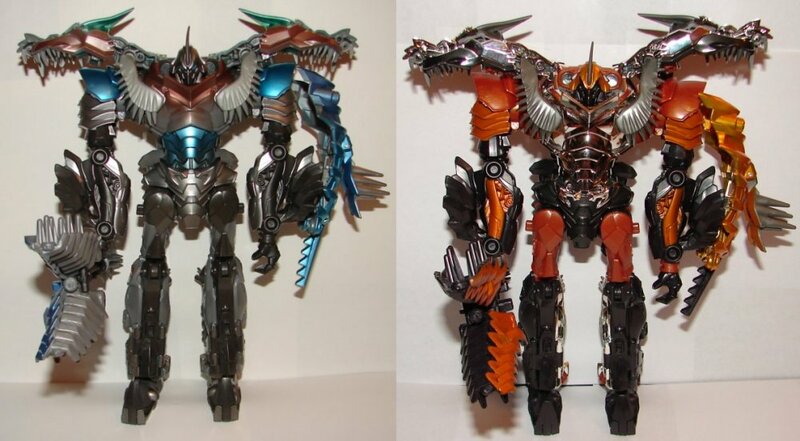 Read my reviews of the original Leader Optimus Prime and Grimlock toys. 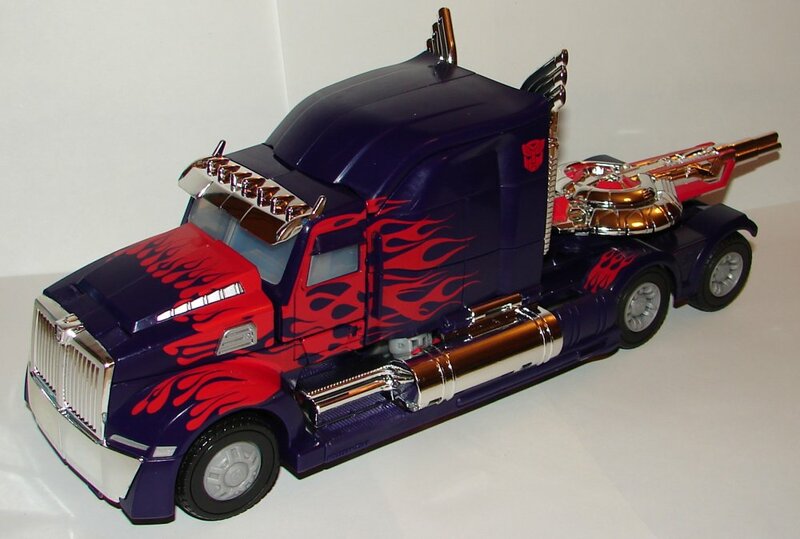 I really like the new paint job on Leader Optimus Prime. 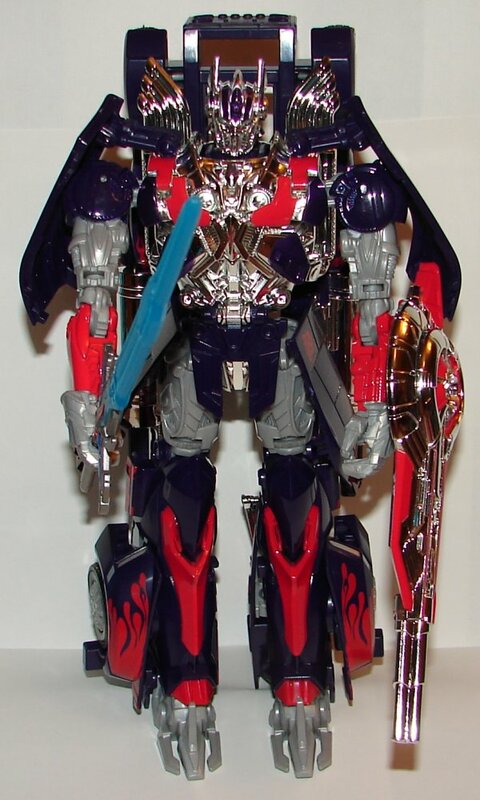 It’s darker blue and has a lot more chrome on his chest, head, weapon, and smokestacks. I really like the blue sword as well. 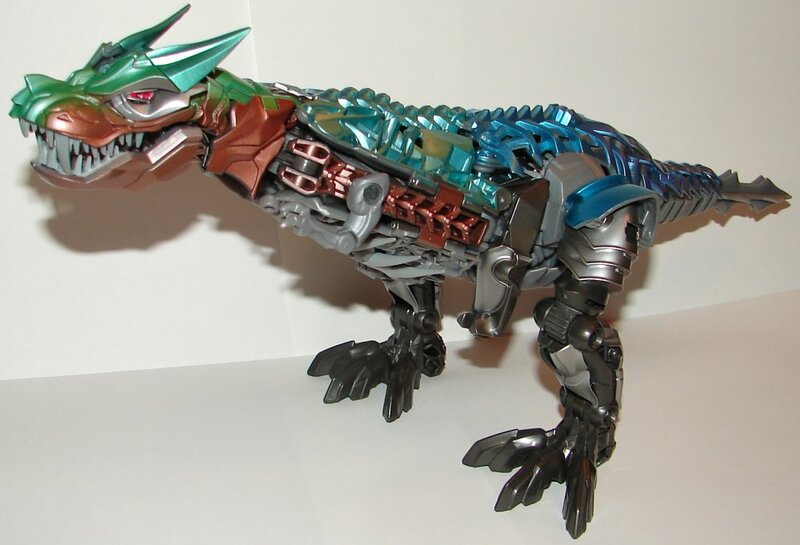 Grimlock looks much better in silver, bronze, green, and blue than he did in his original colors. 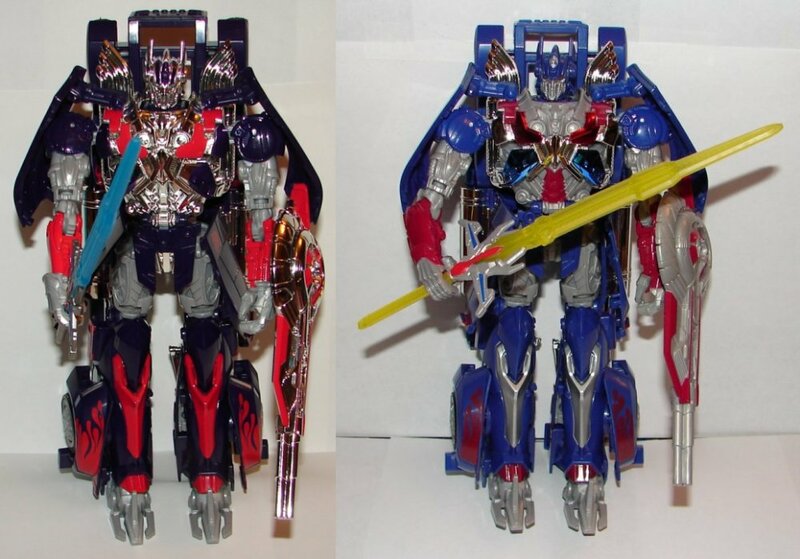 This is a really well done repaint. Overall: This is not a bad looking set, but the cost is ridiculous. When it first appeared on Toys R Us’s web site it was $109.99. It then came out on HasbroToyShop.com for $99.99 and suddenly the price was reduced on TRU. Each toys retailed at $44.99, so this set is overpriced. Back in 2009 stores had piles of unsold multipacks like this that had been priced more than the retail of the toys in the set. When for 2010 and DotM, the box sets were more moderately priced, at or a little less than the individual toys would have been, and they seemed to sell a lot better, you would think would have learned their lesson, but apparently not. 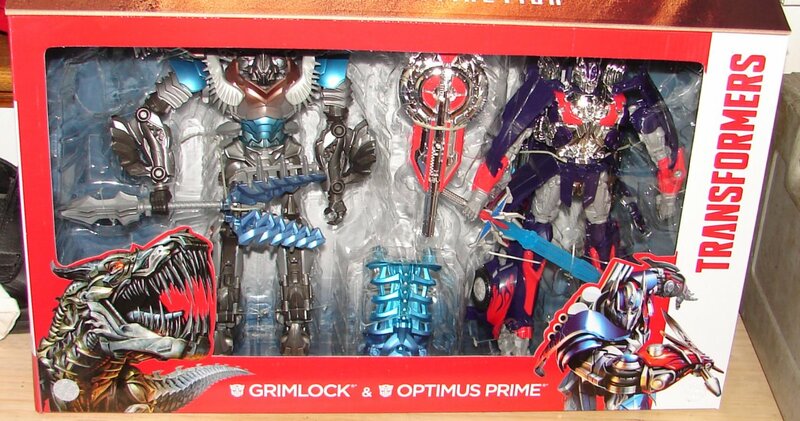 Also, I’m a little annoyed at Hasbro’s willingness to throw the “Platinum Edition” name on things. 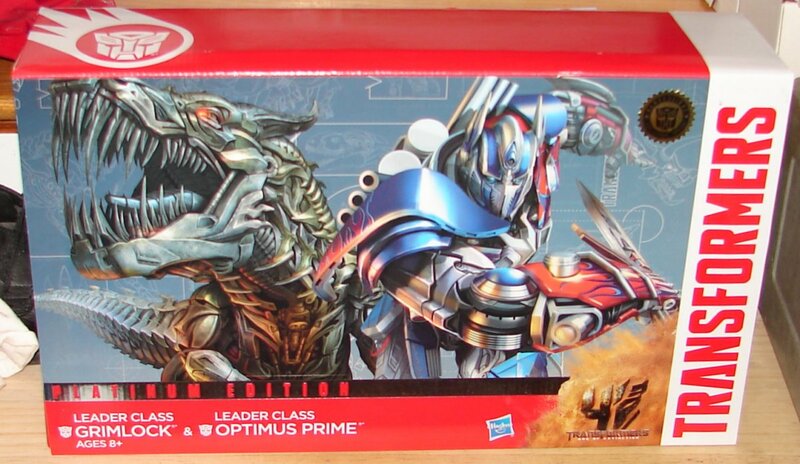 Some of the early Platinum Edition Toys were something special, older molds in super fancy boxes. Now it’s just an excuse to bump up the price of a toy. 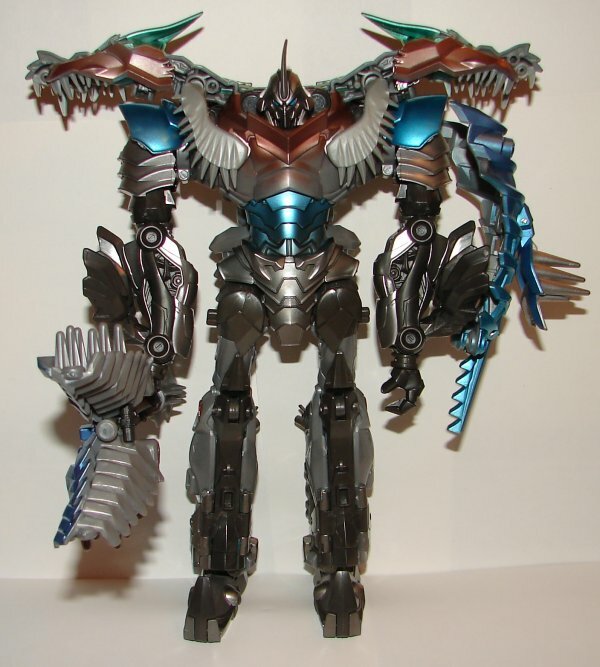 This entry was posted in Toy Reviews, Toys, Transformers and tagged Age of Extinction, AOE, Grimlock, Leader, Leader Grimlock, Leader Optimus Prime, Optimus Prime, Platinum, Platinum Edition, Platinum Series, Shared Exclusive, Toys, Transformers, Transformers: Age of Extinction. Bookmark the permalink.